We will give you an overview of training starter steps, management, and other possible options based on your particular situation and needs. Anything over 20 miles will be on a case by case basis, and will be prorated based on distance and time. 1-1/2 hours evaluating and discussing your dog. 1 hour Private Lessons after completing Behavior Consult. What it is: Review of Canine Questionnaire and pre-consult phone interview. Interview with owner and other family members within the home. An evaluation, interaction, and observation of dog’s behavior within the home and/or neighborhood. A discussion and summary of training and management recommendations as well as other available options to improve dog’s behavior. We will give you informational and detailed handouts pertaining to everything we have discussed. Depending on the behavior issue, we may also get you started on some hands on training exercises. We offer Behavior Modification Training Plans for all areas of behavioral problems as well as compassionate and caring counseling services to help you make the best decision for you, your family, and your dog. Fear, aggression, food & object guarding, separation anxiety, and obsessive compulsive disorders may not be resolved through one or two sessions with a trainer. These behavioral problems may take a lot of time, effort, patience, and commitment. We understand how overwhelmed you may feel, and we have helped countless families feel empowered in the direction they take for their dog. If during the consult it is decided that your dog falls into one or more of these categories, the level of severity will be assessed and thoroughly explained. You will be given all possible options for your situation, including non-training options as well. Quality of life and safety issues for all humans and animals involved in the household is taken into consideration when discussing all available options. We are based out of Westfield, Massachusetts. We serve communities throughout Hampden and Hampshire counties of Western MA, as well as the communities surrounding Granby and Simsbury, Connecticut. Are you outside our service area? 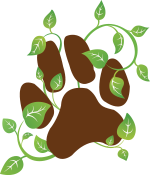 We offer 1-½ behavior consults at Sandy Meadow Farm Dog Obedience School in Westfield, MA. We do out of area in-home appointments on a case by case basis.